Earlier this month, Apple made a surprising announcement that two of the biggest selling features of the Apple TV would come to smart TVs from major brands starting this year. Samsung, Sony, LG, Vizio, and other big names are bringing native support for Apple AirPlay 2 and iTunes on their smart TV models starting in 2019. Samsung has already revealed that all of its new smart TV models are getting AirPlay 2 and iTunes integration, while select older models will be updated with support for the services. 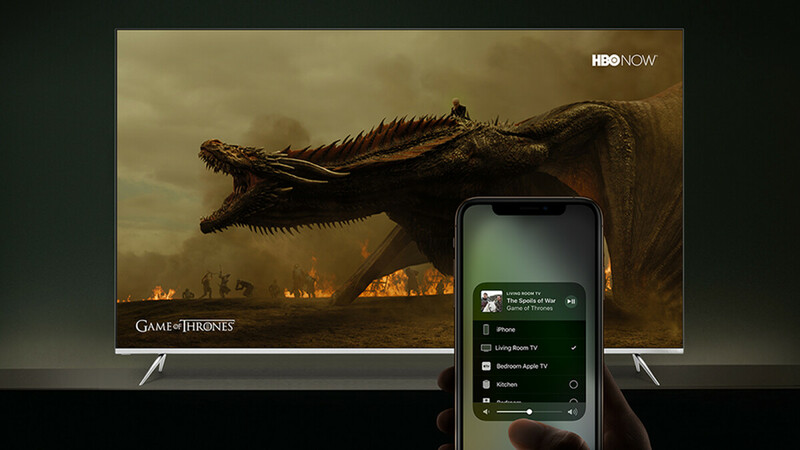 Vizio, however, has already made the first real step by opening applications for an AirPlay beta testing program, with intentions to roll out the feature to everyone by the fourth quarter of 2019. If you live in the US or Canada, and want to test streaming from your Apple device to a Vizio TV, you can sign up for the beta program on Vizio's website. Just keep in mind that, in order to enroll, your TV needs to have SmartCast Home. Once updated to SmartCast 3.0, you'll be able to stream photos, music, and videos from your Apple devices to your Vizio TV. This even includes 4K and HDR content from iTunes, as noted by Engadget. Other neat features enabled by the update include being able to control your TV through your iPhone or iPad and even ask Siri to play specific things on supported services. If everything pans out the way it's planned, by the end of 2019, all new (and select old) smart TV models from Samsung, Sony, LG, and Vizio will have native support for iTunes and Apple AirPlay 2. This is Awesome, I hope my LG OLED C7 gets this update.